Everyone is invited to this FUN & ENTERTAINING trivia challenge. 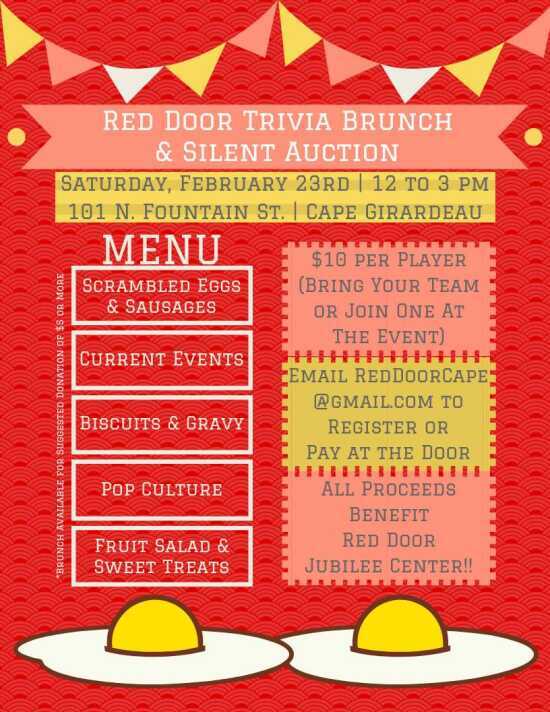 This event will benefit Red Door Jubilee Center, Christ Episcopal Church's community outreach entity, to HELP US HELP CAPE! The cost is $10 per contestant, with the brunch meal served with a requested additional donation. Trivia questions will include popular culture as well as current events.